So when I first started to rock climb I lived near Swanage and for years I never had a guidebook to the area. 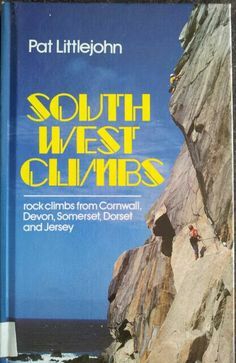 The old yellow one was out of print and so my only recourse at the time was to turn to South West Climbs by Pat Littlejohn. The adventures I had with that book as I started to climb are still dear to me. My first trad leads at Subliminal, a early adventure to The Dewerstone and Chudliegh on Dartmoor. 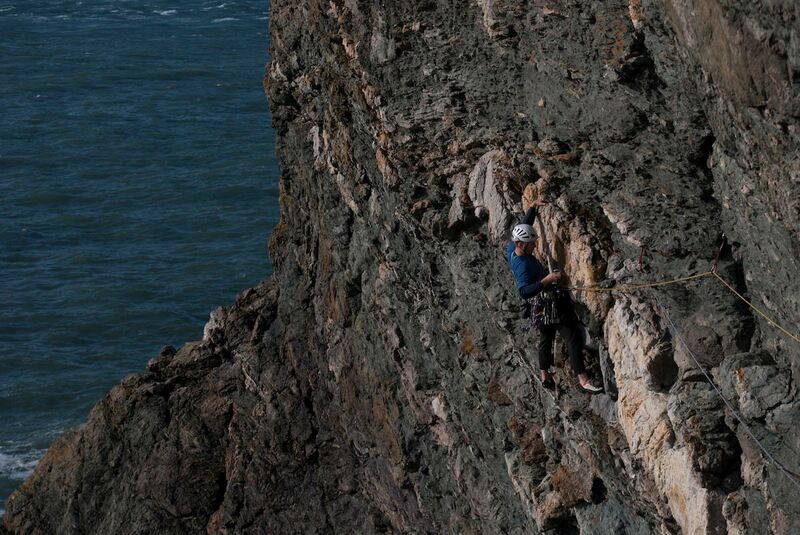 It for me defined my climbing pre-moving to Wales for university. From time to time I head down south and pick another classic route from its pages. Although it is a little dated now. Pat then was one of the first modern names of rock climbing I knew. His routes down in the more adventurous parts of the South West were, well to be quite frank, out of my league and most still are. Like any legendary climber you tend to build them up to be something they are not. I have since had the pleasure of running into Pat a few times over the years, either through BMC committee, local issues like the paint in Cwm Tregallan above and most recently over climbing on the Llyn. After a few messages back and forward we met to discuss a future project on the Llyn and it sounds really exciting. I can’t wait to help develop a resource for climbers for this really adventurous area. An area that Pat is highly passionate about and to be frank is probably the leading protagonist of. 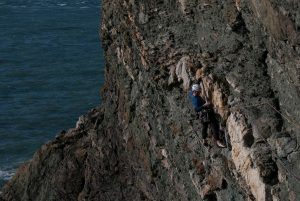 Having done around 40 routes since he published the latest supplement to the area, which to be honest was already full of routes he had done since the last guide. So in a nut shell we are hoping to develop a wiki-type site on NorthWalesRock.com with the hope of sharing all those great adventures on the Llyn. For me it was great to get a feel for what Pat wants to develop over time and at the same time to sit down and have a conversation with one of the best adventure climbers in the world about a subject that lights him up. Previous Previous post: Busy at Play…Child’s Play!